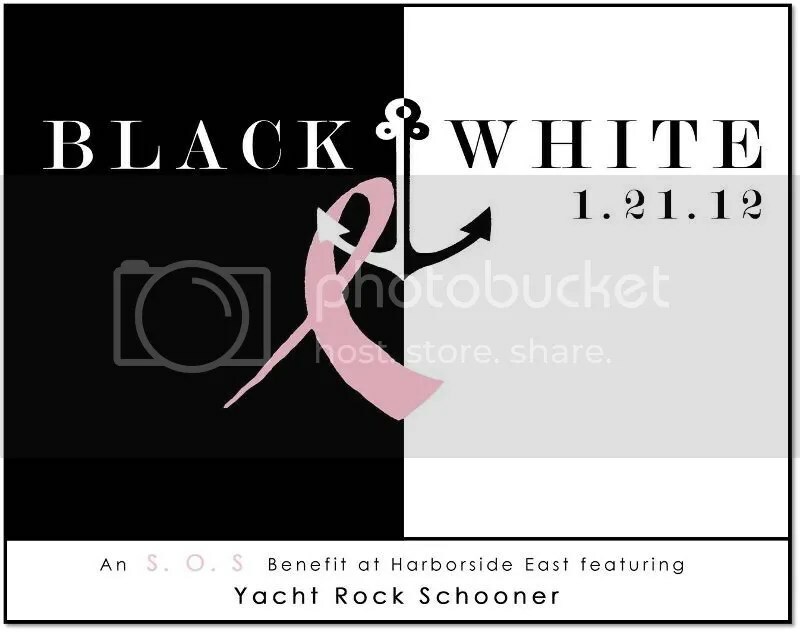 This entry was posted on November 16, 2011 at 6:38 pm and is filed under Sales & Events with tags black & white, breast cancer assistance, Harborside East, sc breast cancer, Share Our Suzy, Share Our Suzy Lowcountry, shareoursuzy.org, sos breast cancer, South Carolina breast cancer patients, Suzy McGrane, yacht rock schooner. You can follow any responses to this entry through the RSS 2.0 feed. You can leave a response, or trackback from your own site.